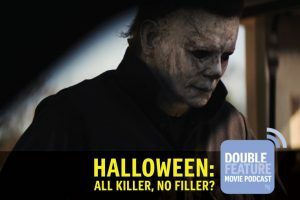 Michael Myers, the silent killer is coming home…again. This time in a sequel that jettisons all previous sequels. Halloween is the sequel to, er, Halloween. But can the director of Pineapple Express and Your Highness make his Halloween worthy of the John Carpenter original. And on the local front, Zombiepura brings some undead fun to local films.